We believe the best chance a patient has at getting better is a clinician at their beside with the right answers and the confidence to act. That's why we created SonoAccess, our no-cost ultrasound app that can get you from "zero to scan" with confidence. 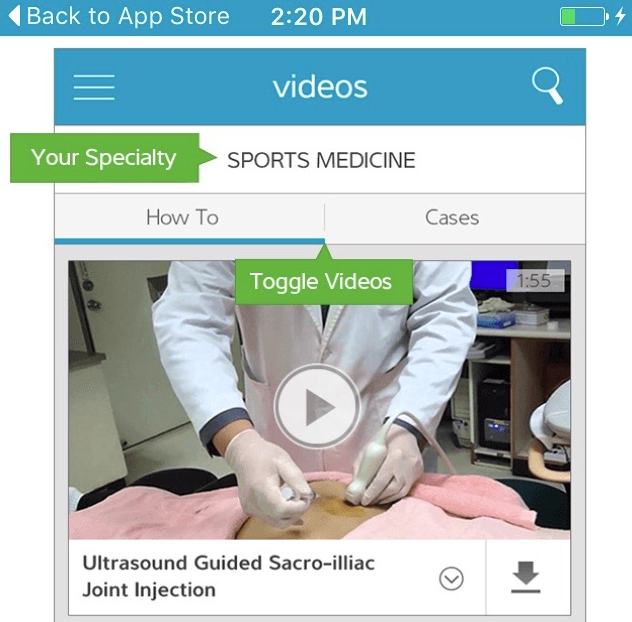 When you download SonoAccess, you'll get a first-class ultrasound app with extensive clinical education content, product guides, How-To videos, clinical images, and reference guides for point-of-care ultrasound. Download the Ultrasound App for your phone or tablet. Getting started using SonoAccess is easy. First, choose from over 13 clinical specialties. Or choose more than one, and your pesonalized user profile will provides you with the most relevant educational content from within the app. When you open SonoAccess you'll land on the "What's New" homepage, the best place to get the newest user stories, articles, product guides and clinical images from every speciality. This will ensure you stay up to date with the latest clinical information and SonoSite product news. Anatomy recognition and exam technique are critical for point-of-care ultrasound. 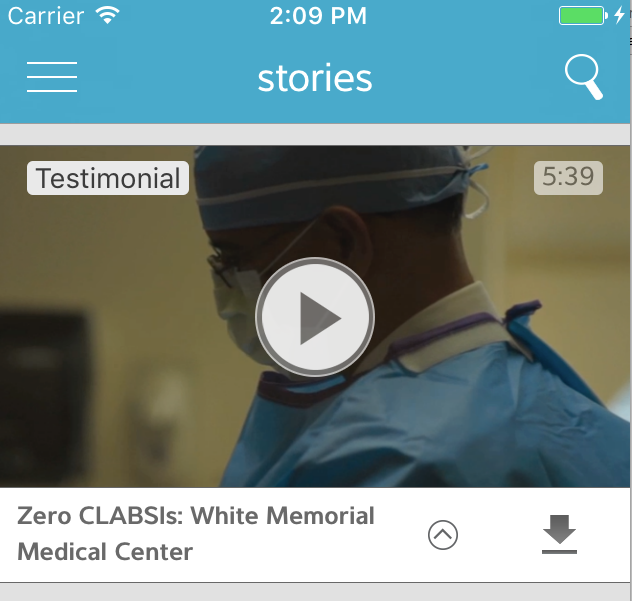 That's why we partnered with clinician educators to produce hundreds of videos and images organized by specialty, clinical application, and SonoSite systems. Find a clinical guide or scanning video you think is useful? Share it with a colleague. SonoAccess features the ability to easily share clinical educational content via our new social media integration. Whether novice or expert in the use of point-of-care ultrasound, accessing clinical content when and where you want it is critical. With SonoAccess, you can download How-To videos, case studies, product manuals and image galleries straight to your phone. Want to access your content without the internet? No problem. When you download SonoAccess content you can access it even without internet. 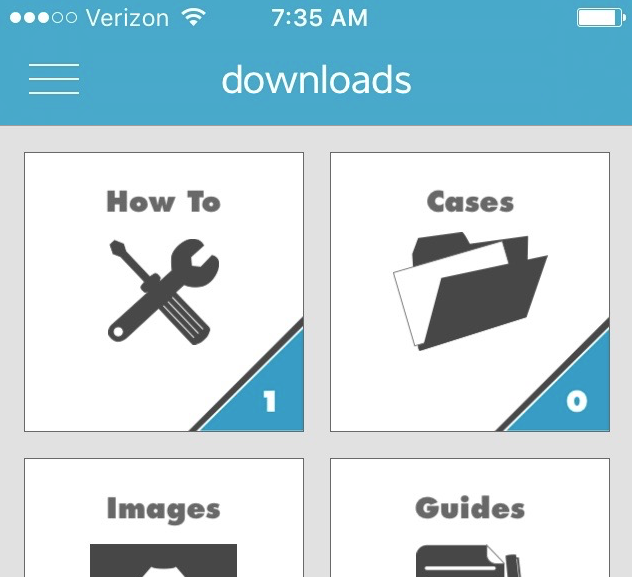 Just go to the "Downloads" tab and chose from any guides, videos, manuals, or images you downloaded. Want to start using our ultrasound app but not sure where to get started? Check out our Youtube video guide. We'll break down the steps on how to download and install the app, create an account, choose your medical speciality, and download content for offline use. Watch all the videos here and download the app below.